I’m using the recipe for these oatcakes as an example of the pitfalls of projecting 21st century understanding onto 17th century recipes. Mention the word ‘oatcakes’ and most people will think of small, crisp biscuits that are enjoyed with cheese, pate and the like. Observe, muffins are made the same way. However, upon reading this and several other early oatcake recipes, it became clear to me that Hannah’s method had actually been describing the making of oat-cakes, which are muffins made with a significant proportion of oat flour. I’d just assumed she was in error because I was thinking of the wrong kind of oatcake, putting the modern notion of a biscuit onto her 18th century recipe. The manuscript in which I found this recipe dates from around 1700, which makes them of the time of Queen Anne, last of the Stuart monarchs. The spicing and flavouring make them deliciously decadent and aromatic, perfect for an elegant afternoon tea-table. They are best enjoyed warm, with just a little butter. If you’re not eating them fresh from the pan, then the outsides should be lightly toasted under a grill before gently pulling apart and buttering. These take a little longer than regular muffins in the initial cooking, but my guess is that is down to the oat flour. Speaking of which, I made these by sifting fine oatmeal, which is also sometimes sold as oat flour. It is coarser than wheat flour, being somewhere between brown flour and stoneground wholemeal flour in texture. I firstly sieve out the coarser particles and then whizz these coarse siftings in a blender/spice grinder (the offset blades are more efficient than a food processor) and re-sieve in order to get the maximum amount of ‘flour’. This process is a little tedious, and frankly, you could just use the oat flour as is and they would be fine, but by using only the finest quality of oat flour ensures the delicacy of their texture matches the delicacy of the flavourings. Put the dry ingredients and the yeast into a bowl. I use my stand mixer fitted with a dough hook. Whisk the milk, water, egg, yolks and alcohol together then add to the dry ingredients. Mix thoroughly for 10 minutes. Mix on high for 2 minutes, then and leave to rise for 1 hour. Deflate the dough gently then divide it into 75g portions. Cup your hand over each piece of dough and roll it in small circles, shaping the dough into a smooth ball. Set the ball on a flour-dusted surface to rise. Don’t put the balls of dough too close together, or they might rise into each other. Allow the dough to rise for 30 minutes from the moment the first ball of dough is shaped. They will take time to cook in batches, so with the staggered batch cooking, the last few will have risen just in time to be cooked. Put a heavy-based pan onto a large ring on a medium heat. On my 1-9 induction hob, I use 6. Cook the muffins in batches. Depending on the size of your pan, you can cook 4 or 5 at a time. To transfer the risen dough to the pan, gently slide a thin spatula underneath and transfer it to the pan turning it upside down as you do so, so that the top of the oat cake cooks first. This will help create the perfect muffin shape. If you cook the base first, the top will continue to rise and curve, and since the radiated heat from the pan will dry the surface of the dough as it cooks, this will thus make it ‘reluctant’ to flatten into the traditional muffin shape. Cooking the soft top first, the weight of the dough pressing down allows it to settle like a gently deflating cushion, into the flattened shape, and a partial hardening of the already flat bottom (which has become the top) is fine. Cook for 6-7 minutes, then gently turn the cakes over and cook for another 5-6 minutes. When done, they should sound hollow when tapped. I’ve always had a fondness for Wales. The first family holidays were amongst its lush and rolling hills and I became an avid fan of rugby through watching Wales during the glorious days of the mid-1970s. In terms of its food, I’m constantly frustrated by the existence of so few old books from which to draw recipes. I have on my bookshelves just three in the Welsh language, all dating from the 19th century, and, disappointingly, not one of them contains recipes for either Bara Brith or Welsh Cakes. I have a feeling that there must be a very rich hoard of manuscript recipes lurking somewhere in storage, perhaps in a record office or some archive, just waiting to be discovered. I have already brought you a couple of Bara Brith recipes, being unable to choose between the rich fruitiness of one and the delicate texture of the other. For years I have been in search of an authentic and worthy Welsh Cake recipe, with no joy. With the best will in the world, the modern Welsh Cake can be a little on the heavy side. The more tactful descriptions suggest ‘close-textured’, other spade-a-spade critiques might go with ‘stodgy’. And the stodginess would seem to be almost necessary, as too long on the griddle and the pastry-like dough of the modern Welsh cake recipe is prone to drying out and becoming tough. I have therefore been more than a little mollified by this week’s recipe, which I found in the digitised manuscript collection of the Welcome Library. It comes from the recipe book of Dorothea Repps (nee Fountaine) and dated 1703, when she was just 21 and already married to John Repps. I am extremely fond of this manuscript book, for Dorothea’s handwriting is bold, confident and easy to read, and adorned with swooping flourishes. 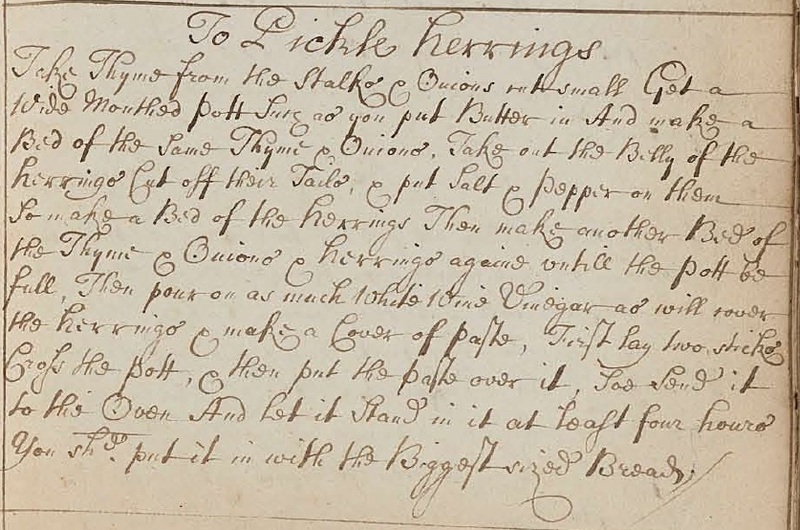 This recipe for Welsh Cakes appears very early on in the book and consequently I feel confident that she must have recorded it no later than 1710. What I find curious, quite apart from it pre-dating most other Welsh Cake recipes by at least 150 years, is the fact that Dorothea spent her life in Norfolk, just about as far east and distant from Wales as you can get without falling in the sea. There’s nothing else in her book that is particularly Welsh, so its presence is something of an enigma. Also curious is the form that Dorothea’s Welsh Cakes take: a single, large, layered yeast cake sprinkled with currants and sandwiched with raisins. As with many recipes of this age, the quantities of ingredients are huge, and reflect the catering-size amounts required in a large house. I scaled them down to something more manageable and baked it as described and I have to be honest, it was a bit heavy. Nice, but decidedly door-stop. So I had another go, making even smaller, single-serving versions, with just two layers of the currant dough sandwiching the plump raisins. They were very neat, and baked to a lovely golden brown, but…..ordinary. Despite the richness of the mix, the oven heat, even without fan convection, made the outsides of a crustiness that all the post-baking basting with milk failed to soften. Having concentrated so much on the presentation, after carefully cutting and shaping these little filled cakes, I found myself left with quite a lot of trimmings. I can’t abide waste, so I decided to gather them together, re-roll and cut them like modern Welsh Cakes. Since the oven was in use baking the sandwich version, I thought I might cook these in a dry pan on the stove top. And this spur of the moment decision provided the secret to revealing the deliciousness of this recipe. For cooked in the traditional bakestone manner, they are extraordinary. The thin crust that forms from contact with the warm pan (for a gentle heat is all they require) surrounds a yeast-raised interior so delicate and feather-light they almost disappear. They are at their best hot from the pan, sprinkled with a little caster sugar. This combination of a centuries-old recipe, with a relatively modern form and method of cooking produces a real tea-time delicacy. Wherever she gathered this delightful recipe from, I’m grateful to Dorothea Repps for recording it in her book so that we can enjoy them today. If you’re in Norfolk, you can stop by and thank her yourself: she is buried in the place where she lived until the ripe old age of 78 and lies surrounded by her family, in a vault in the magnificent church of St Peter and St Paul, in Salle. You can, of course, use your own favourite spicing/flavourings for these Welsh cakes, instead of Dorothea’s suggestion of nutmeg. I suggest no more than a total of 1 teaspoon of whatever spices you choose. Mix the flour, icing sugar, salt and spices in a bowl. Whisk 50ml of milk and the yeast together, then add the yolk and stir thoroughly. Melt the butter and allow to cool a little before whisking in the milk/yeast mixture. Add these wet ingredients to the dry and knead until the mixture comes together in a soft dough. Add more milk if necessary. Knead for 10 minutes until smooth. Knead in 40g of the currants. If it looks a little sparse to your tastes, add more until the desired level of fruitiness is achieved. Oooh, Matron! Cover and set aside to rise until the dough has doubled in size. Due to the richness of the mixture, this may take between 1.5-2 hours. When risen, tip the dough out and pat gently to deflate. Use a rolling-pin to roll the dough out to a thickness of 1.5cm. Use a fluted, 5cm cutter to cut out little cakes, making sure each one contains a sprinkling of fruit. Re-roll trimmings until all dough has been used. Cover lightly with plastic wrap and set aside to rise for 30-45 minutes. When ready to cook, gently heat a thick-bottomed, heavy pan on your stove. My induction hob goes from 0-9, and I cook these on 5. I also place the cakes around the edge of the pan, avoiding the concentrated heat of the middle. The dough is rich with butter, so no further oil is required. Bake the cakes until lightly browned on each side and the centre is cooked through: around 7 minutes for the first side, and 6 minutes on the second. Turn them gently, as the uncooked tops will have risen due to the heat and will be extremely light and easily deflated. Remove the cooked cakes from the pan and sprinkle the tops lightly with caster sugar. The Sally Lunn is a traditional, enriched tea bread that hails from the West Country city of Bath. It is a completely separate item to a Bath Bun, which is an enriched dough, traditionally filled with fruit and peel, topped with a smattering of sugar nibs. “This yellow-white bun was an infernal trouble to make, taking from sunrise to sunset to raise, was made gold on top with the beaten yolks of eggs, and split hot and embosomed in clouds of cream”. I don’t know which recipe Ms Hartley was referring to, but the ones I have read seem straightforward enough. As with all yeast-raised goods, this requires only sufficient time to rise, which involves practically no input from the maker whatsoever. I had the misfortune to lose a beloved brother in the prime of life, who dropt down dead as he was playing on the fiddle at Sir Robert Throgmorton’s after drinking a large quantity of Bath Waters, and eating a hearty breakfast of spungy hot rolls, or Sally Luns. making them arguably the first buns so good they were simply to die for. Moving on from this grisly-yet-detatched account, I’m going to rock the Sally Lunn world with some newly discovered snippets of information that pushes their provenance back even earlier in the eighteenth century. To feast upon sweet Sally Lund. Spring Gardens were the pleasure gardens set out across the River Avon, east of Bath, which held public breakfasts twice a week, with musical accompaniment, at sixpence a head. And Sally Lun and Saffron cake are there. placing these teatime treats surprisingly, but very firmly, in the Dublin countryside. And finally, we have a recipe. The only recipe I’ve been able to find that actually dates from the eighteenth century. A recipe which predates all other mentions by several years and comes, not from elegant, regency Bath, but from Newcastle in the north-east of England. Discovered in a book published in 1772 by Mary Smith, it admittedly doesn’t have the exact same name, but it is recognisably similar. In addition, the recipe itself does indeed make a bun that fits the description of a Sally Lunn, right down to the traditional serving suggestion. As well as the early date and surprising location of this recipe, there are two further interesting details: the single rise and the bakeware. When a dough is enriched with dairy and eggs, it lengthens the amount of time required for the yeast to do its work. This explains why, in old recipes, the dough is first set to rise, and only afterwards are the enriching ingredients kneaded in, just before the dough is shaped. Enriching dough can be something of a double-edged sword, because yes, the result is very delicious, but also, without the correct proportion of liquid, or time, it can turn out heavy. The single rise here means that the initial, exuberant frothiness of the yeast is tempered with the rich ingredients, ultimately producing the perfect balance of both richness and lightness. 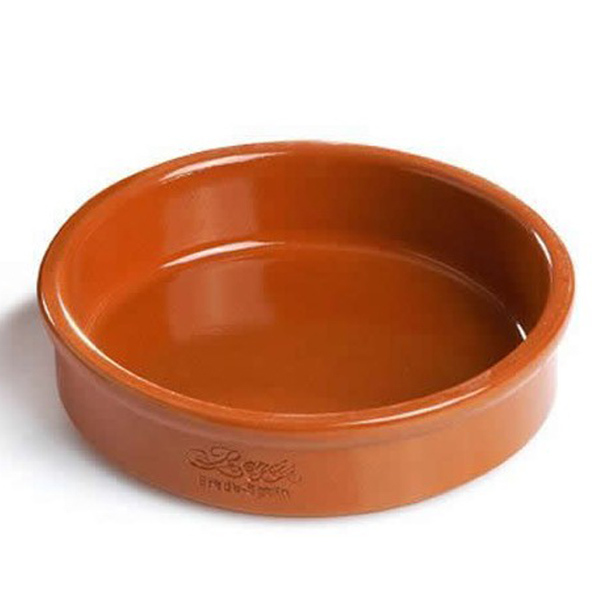 The second detail was the recommendation for an earthenware pot to bake it in. It makes sense – a metal tin would get very hot in the brick oven and the enriched dough would run the risk being scorched. Early test batches of this recipe were baked in some red, 10cm, tapas dishes like this. However, on a visit to a French market I found some ceramic mustard jars (shown in the top image) and they proved the perfect shape to allow the dough to really soar whilst still remaining protected from the heat of the oven. Put the flour into a bowl and crumble in the yeast. Melt the butter in a small saucepan over a low heat, then remove from the heat and add in the milk. Swirl to mix. Whisk the eggs, add about 2/3 of them to the milk mixture, then pour the liquids into the flour. Mix to a soft dough, adding more liquid if required. Divide the dough evenly between your baking dishes (or tins if you haven’t anything else). The mustard pots took 150g of dough, the tapas dishes about half of that. Shape into round, smooth balls and place in the greased dishes/tins to rise for about an hour. Use the remaining egg to gently brush the tops of the risen buns lightly. Make sure the egg doesn’t drip down the sides as it will cause the dough to stick. Bake for 30-50 minutes, depending on the size of your buns, until well risen and golden brown on top. Remove from the dishes promptly and allow to cool on a wire rack. Store the cooled buns in an airtight box and warm gently in the oven before serving. This recipe is something of a contradiction because, despite the name, it is eaten cold. The slow poaching in a lightly flavoured vinegar neutralises the oiliness of the herring to a certain extent, and the herbs and onion make for a fine, delicate flavour. This method is also much quicker than the traditional method of sousing herring, which involves both brining and marinading in spiced vinegar over several days. You can put this dish into the oven at 6pm, cook and then leave to cool in the oven overnight and it is ready to eat the following day. This method also has the advantage of dissolving all the tiny pin bones that abound in herring, leaving just the backbone to lift free when served. The recommended dressing is for oil and vinegar, but a little crème fraiche or even the strained cooking liquid are also enjoyable. Cut off the herring heads and tails if necessary. Rinse and pat dry. Sprinkle the herring wth salt and pepper. Slice the butter thinly and lay half in the bottom of an oven-proof dish. Arrange a layer of onion and thyme sprigs and lay the herrings on top. Repeat the layers of butter, onion/thyme and herring until the dish is full (or ingredients are finished). Pour over sufficient white wine vinegar to cover the herring, then cover the dish with a double layer of cooking foil, tied tightly with string. Bake for 4 hours, then remove and set aside to cool completely.